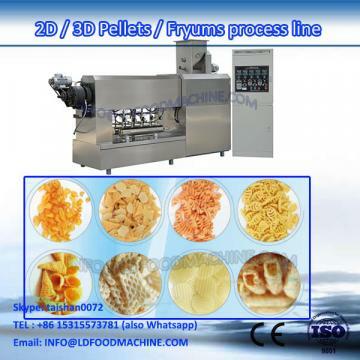 The " 2D Frying Bugle Pellet Snacks" is newly desityed by introducing the foreiLD advanced Technology. It has been improved the disadvantages of import equipment such as large investment and high production cost. This line adopts corn starch, wheat flour, potato starch as material to produce triangle bugles, potato food and other 3D Pellet with various shapes. With same functions, its price is only one tenth of that of import equipment. It is the best investment choice for large or medium-sized enterprises.